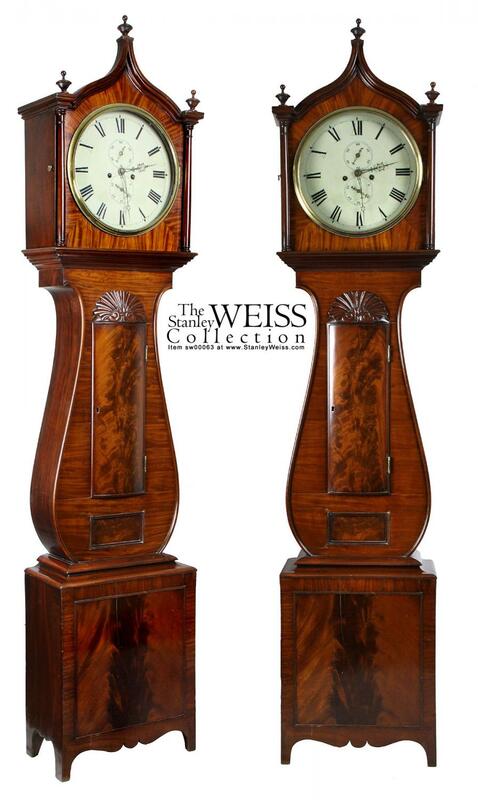 This clock encompasses one of the most dramatic design changes in the English / American clock repertoire. 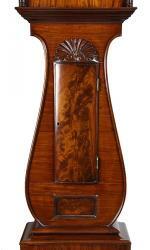 Not only is there dramatic lyre form, almost like a cello, but a magnificently figured block with exuberant shell above. As the midsection is recessed from the base, this clock exhibits a very slender stylized form. We feel this is an important clock, as the interpretation of this form is unique. 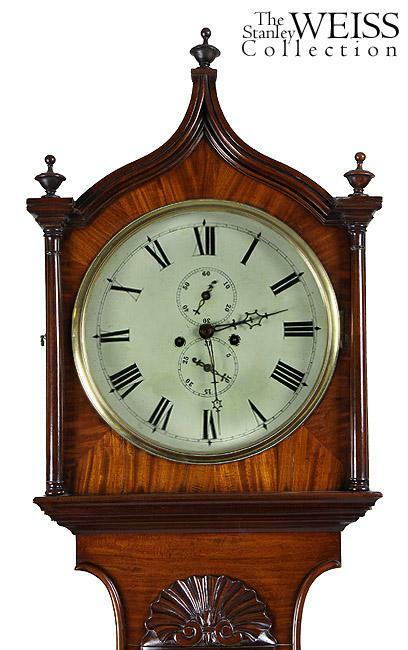 We know of two others, one with a maker's name "David Greig, Perth", who is listed in Britton's Clock Directory, during the years 1810-1831. 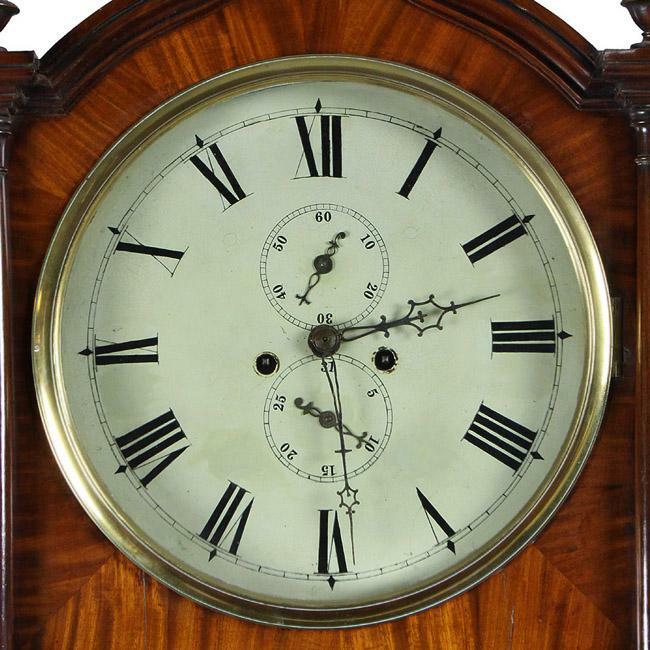 We feel this clock is a masterpiece of design and as few are known, it is relatively unrecognized, as belonging to a small but significant grouping of this form. Over time, the form will be recognized as a singular and dramatic expression of the Lyre form…and the only one we know of in the tall case category. 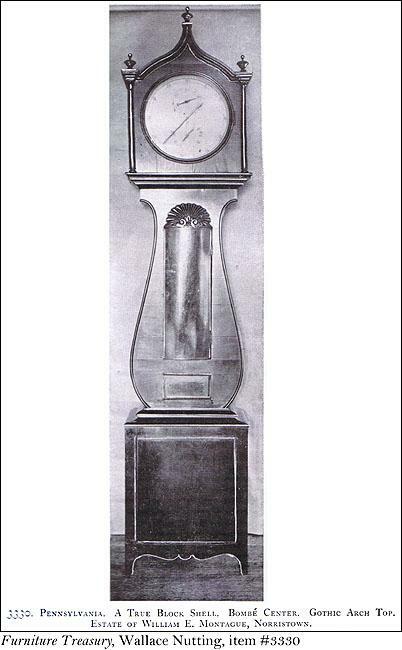 Interestingly, Wallace Nutting felt this was an American clock, and it is illustrated in his book, item 3330, and also in the Palmer book, see below. They felt this clock was American, as the secondary wood, American pine, led them to this conclusion. However, during this time period, much American wood was shipped to the British Isles, which was wood-starved at that time. 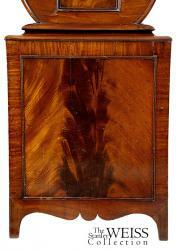 This is a rather small-scale clock with fabulous mahogany throughout. 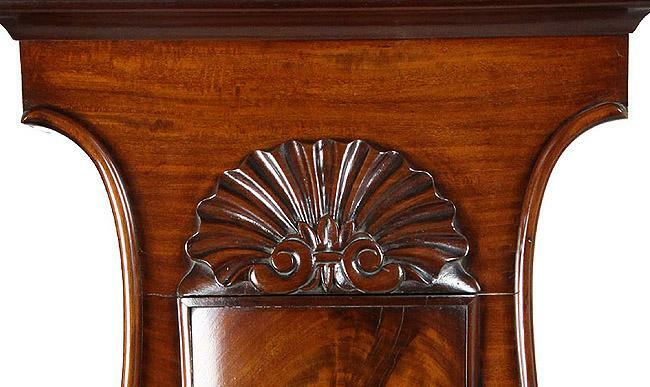 The exuberantly carved shell and blocked door is the equal of any Newport Block and Shell casepiece. It is in a fine state of preservation. 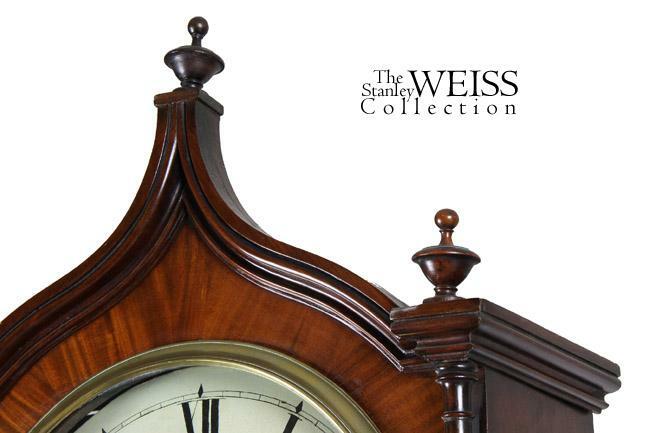 Height: 87 1/2 in. 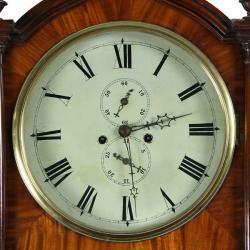 Width:18 3/4 in. Depth:10 in.